How many of you remember listening to radio dramas with your parents or grandparents? I know I do. Even though I was born after most of these disappeared from the airwaves, a few stations continued to run them on Sunday evenings. Plus, you could order them on cassette tape (and later CDs). 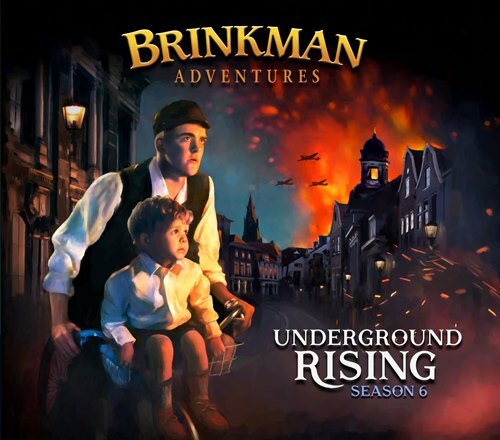 My fond memories of listening to these on the countertop radio in Gramma’s kitchen made me smile when I was given the opportunity to review Season 6: Underground Rising, Digital version of the Brinkman Adventures. This was not a series I had heard of before (in all honesty, I hadn’t thought about this type of entertainment still being available). As soon as I received the digital download I unzipped it and added it to the Google Playlist on my phone so I could listen to it on my next drive into the city. (I love how these digital recordings can be added to my music system so easily!) As it turns out, I didn’t have the patience to wait for that so I put my headphones on and got started while I was puttering around the house. Wow, right away I was grabbed by the first episode, “Dutch Underground.” The urgency of the actors’ voices and sound effects pulled me into the action and I wanted to hear more. Living for several years in a predominately Jewish community in Toronto and meeting the grandparents of some of my friends who had lived through the war (including one who had been in a concentration camp) created a lifelong interest in this area of history in me. I appreciate how the Brinkman Adventures handled the story and made it available and interesting for adults and children alike. We did finally listen to the radio drama in the car and my husband especially enjoyed it (he loves to study World War II history, his father was in the army and his parents met and were married while he was serving in Great Britain). He did have one comment though, he felt the sound levels were a little unbalanced and found it difficult to hear the words in the radio reports in particular. A small thing I hadn’t noticed when listening with my headphones. 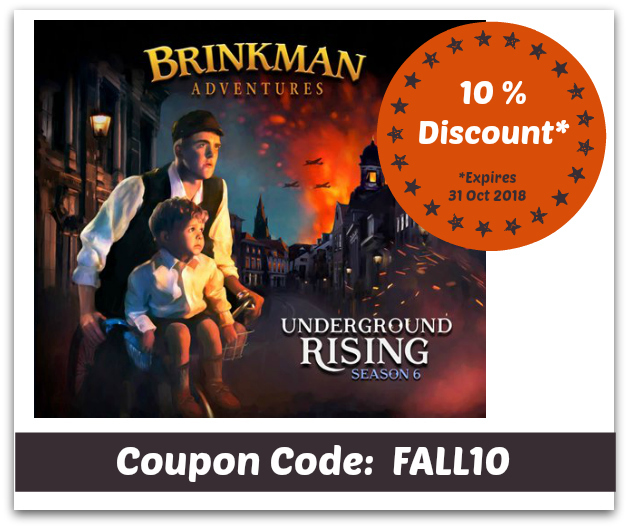 You can access Part 1 of this episode for free on the Brinkman Adventure website here. Having a look through the Brinkman Adventures website, I found a section called Real Stories. This section contains the stories behind the stories. Rich in information about both the background “real stories” and news about how the recording was made, I found this area very interesting and will be using parts of it along with the radio dramas with our homeschool history lessons. Here I am going on about the first episode of Season 6 and there is so much more. The format has been changed from previous seasons and contains two + hours of content (rather than the five + they had before). They are available in both digital and physical CD versions. Season 6 includes three more titles: Twice Born Fly, I Wonder Why?, and Free Burma Rangers (another two-part episode). Twice Born Fly talks about the Bultman family and, using a dream, helps explain a person accepting Jesus and becoming born again. I Wonder Why? is about a girl and her family who become missionaries. It follows the family and their struggles before finding success with the orphans they had come to care for. The particular area of this story that struck me was when the young son felt that God had cured him of his allergies. Even though his parents were nervous to test this they had faith and found that he was indeed free from his previous troubles. This reminds me of an aunt who was diagnosed with MS many years ago. As she was sitting in her wheelchair she said she heard the voice of God speaking to her and telling her to get up because she had things to do. She got out of her chair that day and never went back in (until she was almost 100 and broke her hip). A miracle she never failed to share with new members of the family. The final episode, Free Burma Rangers, is based on the true story of Dave Eubank and his path from childhood to becoming a Green Baret. It follows along as he gets married and moves to Burma. He and his family continue to help those in areas of conflict to this day. The episode takes the fictitious Brinkman family along on a mission that turns out to be very exciting and helps bring the troubles in this far off country very real to the listeners. The Brinkman Adventures are brought to us by Beachglass Ministries a not-for-profit, non-denominational Christian organization dedicated to inspiring, motivating and facilitating the next generation of Christian world changers. You can find out more about this amazing group on their website. Overall our family really enjoyed the Brinkman Adventures and are looking forward to listening to more in the future. To help with this, the folks at Brinkman Adventures have generously provided a coupon code for my readers. The code is FALL10 good for 10% off their products and live from October 10th – the 31st. This is a terrific time to check them out! 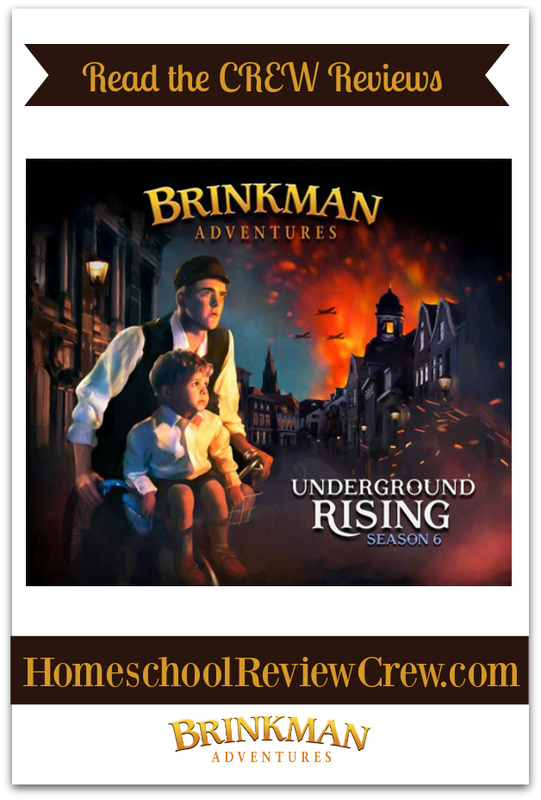 Several other crew families had the opportunity to review Season 6: Underground Rising, digital edition from Brinkman Adventures. I encourage you to click the link below to see how they enjoyed these radio dramas.